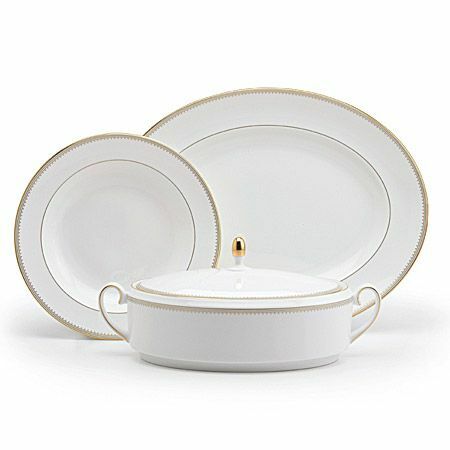 The subtle romantic touches that trim Vera Wang bridal gowns are elegantly displayed in the Golden Grosgrain Fine Bone China. 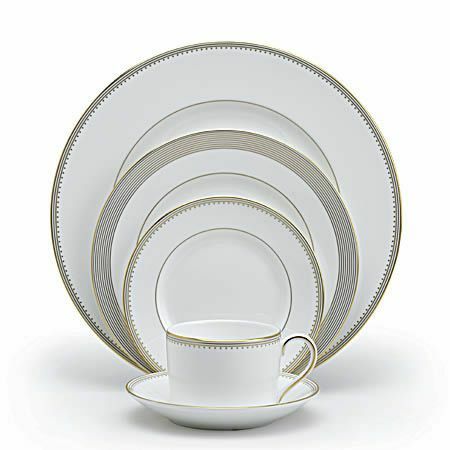 Grosgrain with a golden textured gleam and lustrous shine transforms the white bone china. 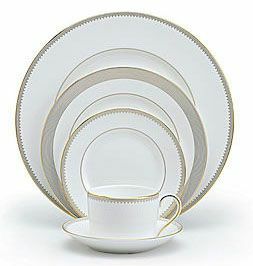 Pair this elegant pattern with Vera Wang's Grosgrain stainless flatware or sterling silverware. Also available without the gold accents as Grosgrain.